Yes, the state jobs agency has made mistakes, but has great value and simply needs retuning. If you take a deep dig into almost any human organization – be it a bank, a business, a non-profit corporation, a newsroom or a government agency – you will find plenty of examples of decisions gone awry. Most go unnoticed outside of the organizations themselves. But when the organization exists in the middle of a highly partisan political environment, every mistake is magnified. Such is the case with the Wisconsin Economic Development Corporation (WEDC). Overall, in my view, it has done a pretty good job of trying to stimulate growth of the Wisconsin economy. But mismanagement of some loans and grants and cross-links to political agendas has put the agency into the cross hairs of gotcha politics and gotcha journalism. Should an established company like ours be rewarded for expansion? Should the agency be picking winners and losers? Economists and pundits argue both sides of that subsidy issue. Other states do it, so there is an element of competition. My take is that such subsidies should not be used in the normal course of business, that they should be deployed only in a highly strategic nature. Further, the doling out of state funds needs to be depoliticized. The legislature proposes to remove the governor from the WEDC board chairman position, a good move, but it needs to take legislators off the board as well. And citizen appointments should require bipartisan approval. That would end some of the gotcha motivation of critics. Mistakes will still be made in handing out subsidies, but they won’t make as many headlines. Some of the work done by WEDC is absolutely essential as Wisconsin struggles to improve its overall prosperity and as it competes with other states and nations where government support of their economies is pervasive. 1. Forget about subsidies for poaching from other states. That strategy doesn’t work for Wisconsin, and it logically leads state companies to demand equal largesse for their expansions. 2. Drop expansion subsidies, especially loans, for established companies. Their own business dynamics have way more to do with expansion decisions than one-time dollars from the state. 3. Continue support for strategic clusters, like the Freshwater Technology cluster in the M7 region, as long as they hit milestones for attracting or creating businesses and jobs. Understand that such initiatives are a long-term play. 4. 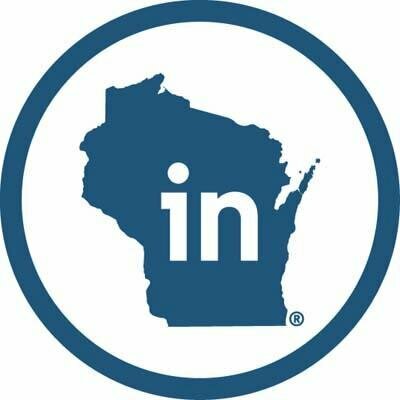 Since entrepreneurs create most new jobs, continue the Act 255 investment credits that are administered by WEDC. Those 25% credits have a good track record for business and job creation, and few other states have such a program. Act 255 has been pivotal for building a startup economy, stimulating excellent growth in the state’s early stage capital capacity. 5. Bridge the “Valley of Death,” the paucity of second stage funding for new ventures. The Wisconsin Housing and Economic Development Authority could fill this gap with guarantees for loans from risk-adverse banks. The banks have the expertise in making loans, but excessive regulatory pressure at the federal and state level has made them timid about funding companies with risk. Loan guarantees would get them moving. Wisconsin could have a differentiating advantage in this space. And, if experienced bankers are making the calls, there is less political ammunition. There’s an old adage in business that derives from an old adage in the military: no battle plan survives contact with the enemy. Rapid strategic adjustments are always necessary. In business it goes: no business plan survives contact with the marketplace. WEDC has had some wins and some black eyes. For competitive reasons, it deserves to survive, but state leaders need to recalibrate to make the public-private partnership more strategic and more cutting edge. Managing WEDC like a feeding trough for friends with no accountability for Walker’s political benefactors was no mistake. WEDC was designed intentionally and operated for corruption and Walker and his cronies need to be brought to justice. Cuts to education, the UW system, and stealing 15% of public workers’ wages was and intentional funnel funds for Walker’s cronies in his pay to play scam. To claim it was a mistake is to excuse intentional corruption and justice for all. This is demeaning to all citizens and especially those that suffer the most from these corrupt political leaders, their extremist policies that lean toward fascism, and laws written by ALEC. Republicans have proven they have no credibility, are totally corrupt and vindictive, lack any integrity and trustworthiness for managing government. We need a jobs creation agency that is managed by honest, trustworthy, nonpartisan professionals, that are accountable, can be measured and evaluated for job production results with proven guidelines, and strategies and tactics that work. The funds for this type of job development should not come at the expense of education and workers like it has been done. Walker’s policies are job killers and toxic to Wisconsin. Wisconsin surely needs something to boost its lagging record of job creation, but a “retuned” WEDC will not be the answer. This agency has fully depleted its retuning collateral. In light of the multiple infractions revealed in the Legislative Audit Bureau’s reports, along with bleeding millions of “hardworking taxpayer” dollars (to borrow one of Governor Walker’s favorite terms), and management’s revolving door of executive leadership, it’s quite stunning to hear your defense of the agency. You make it sound as if these are just the typical growing pains experienced by a new company or that the successes that the WEDC has produced somehow balance out the incompetence part of the equation. To suggest that Wisconsin’s hyper-partisan environment, which has been exacerbated to new heights under the political skills of the current majority, has magnified these offenses makes it hard to take your argument seriously and puts into question your own business integrity. Anyone paying attention can connect the many dots left in the wake of questionable transactions. Perhaps you are in the position that losing millions in public funds is no big deal, so this may be hard for you to comprehend, but for the many Wisconsinites who have had to readjust their lifestyles repeatedly to accommodate the continuous cuts to their incomes, only to see it wasted through either the gross negligence or intentional criminality of the same people who preach austerity, this is not just political, but very personal. No more “government waste”. Dissolve the WEDC. WEDC needs to be scrapped and its successor needs to be a proper state agency with real transparency and accountability and staffed by classified civil-servants, not political appointees. This article should be titled “why it’s a positive to give taxpayer money to private enterprises”. As others rightly point out, this article has nothing to do with the WEDC itself, rather it’s just a think piece on how public funds should be dished to private businesses. Of course it omits the most obvious need: proof of ROI on this idea in the first place. Can someone prove that the cost of taxpayer funds is justified by the outcomes? I don’t see what other question is more important than that. Whether here or on his website , Torinus minces words so as to seem he is weighing between various policy options. When he does come to a “carefully measured” decision, it is always in favor of a fictitious free market without acknowledgment of externality or of considerable corruption. Often, there is very little detail from which to develop an argument. I agree it is possible to have public/private partnerships in which public interest is enhanced while private enterprise also benefits. However, it is crucial to have transparency both in motivation and in terms of a paper trail. The “mistakes” made by WEDC are far too vast to brush off as bumps in the road. Torinus’ views are very far to the right, and while he supports change, that change is invariably to benefit his interests and those of similarly situated people. The appearance of civility does not supplant a very real need to make sound economic decisions which serve the greater population. The major question about the WEDC is how much of their activity is driven by corruption and how much is incompetence. One is easy to confuse with the other. Next time shine a light on the process, instead of looking through the narrow prism of self-interest.